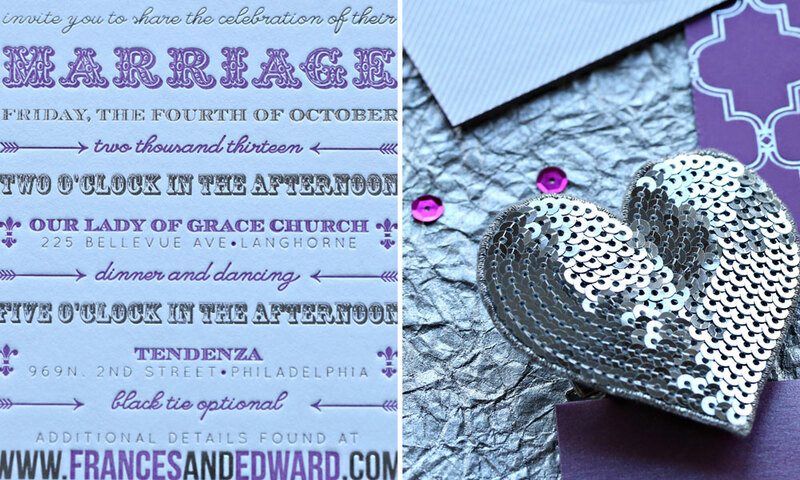 Vintage charm meets modern glam in this one-of-a-kind wedding invitation suite that features chic Moroccan and diagonal lined patterns with shimmery silver foil details. 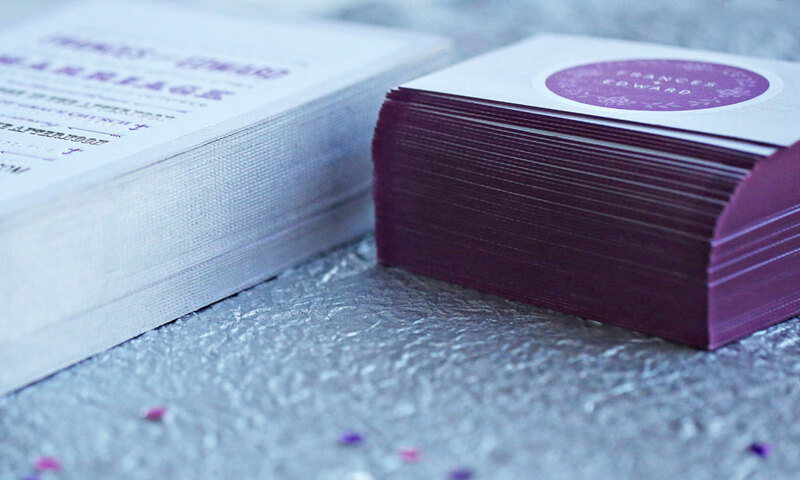 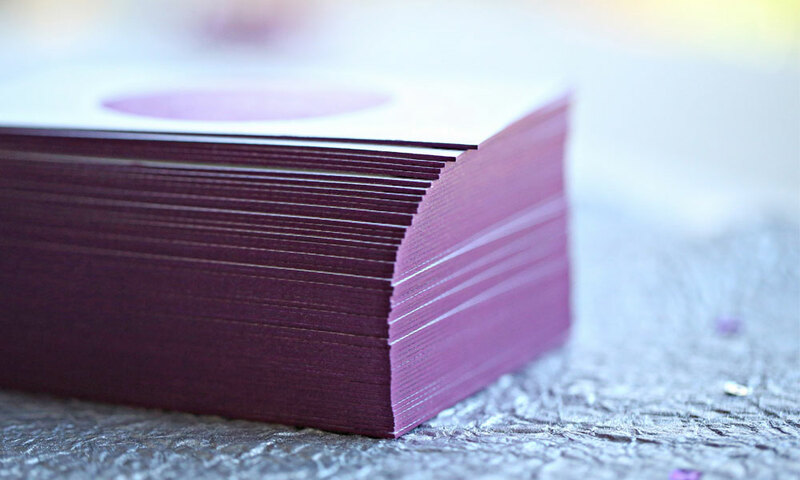 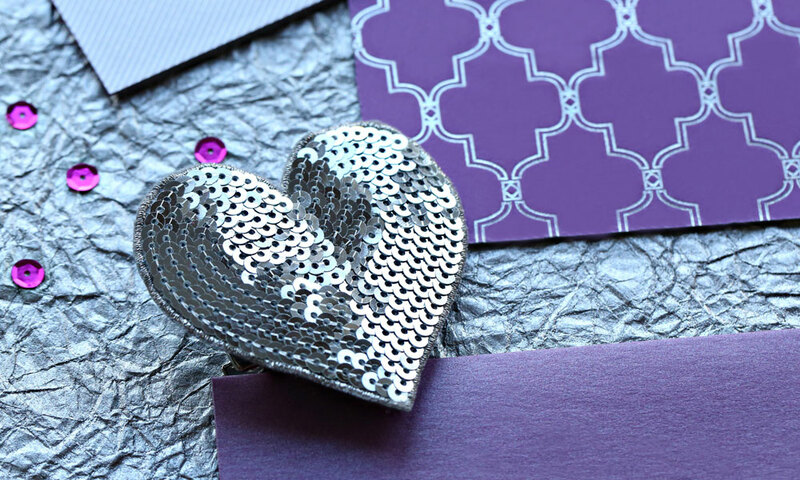 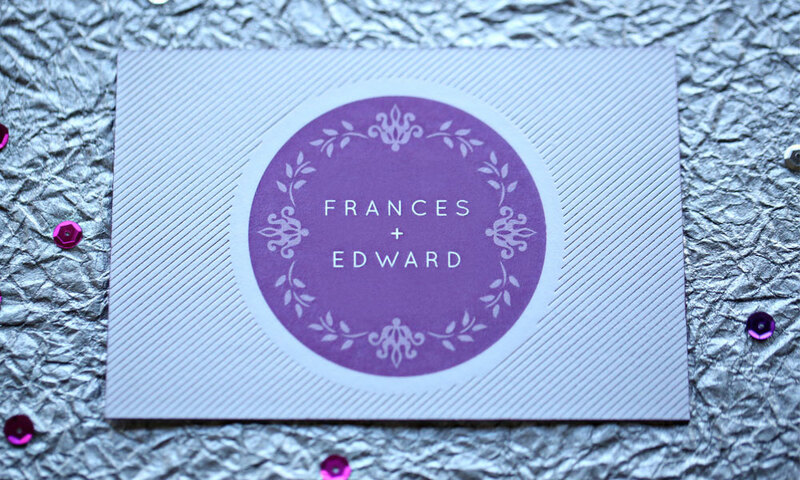 We even edge painted the wedding invitation in shimmery silver and the RSVP card in deep purple to create ultimate sophistication. 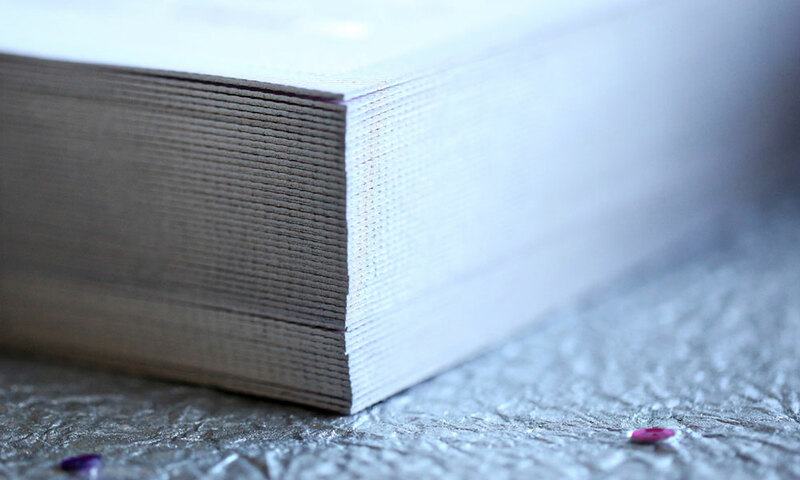 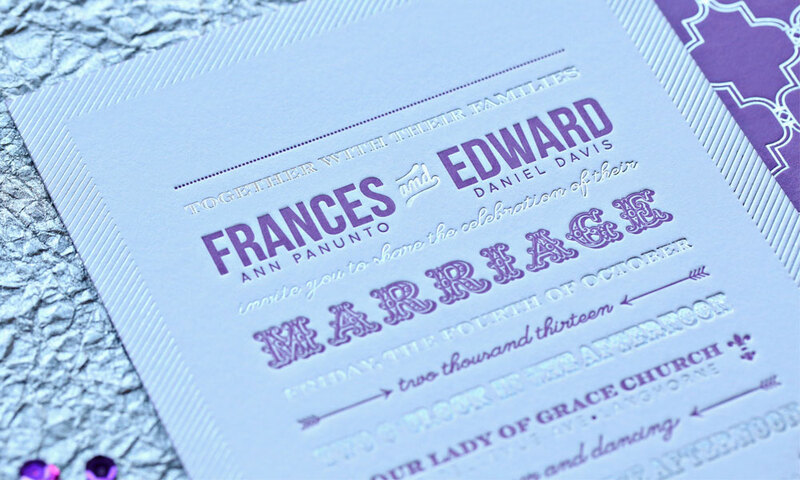 Letterpress combined with flat printing on premium, thick cotton paper with antique-inspired typography offer timeless elegance. 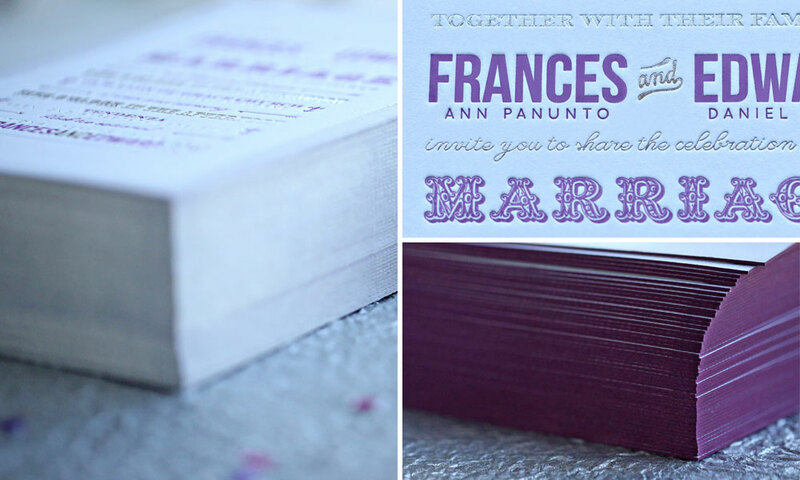 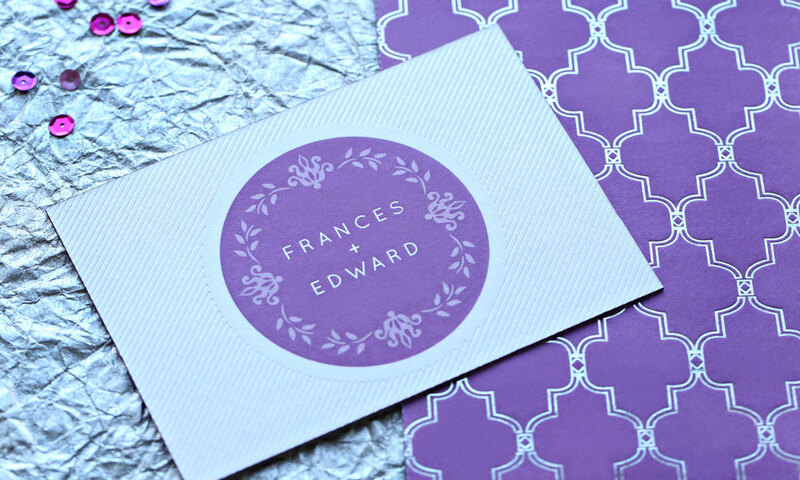 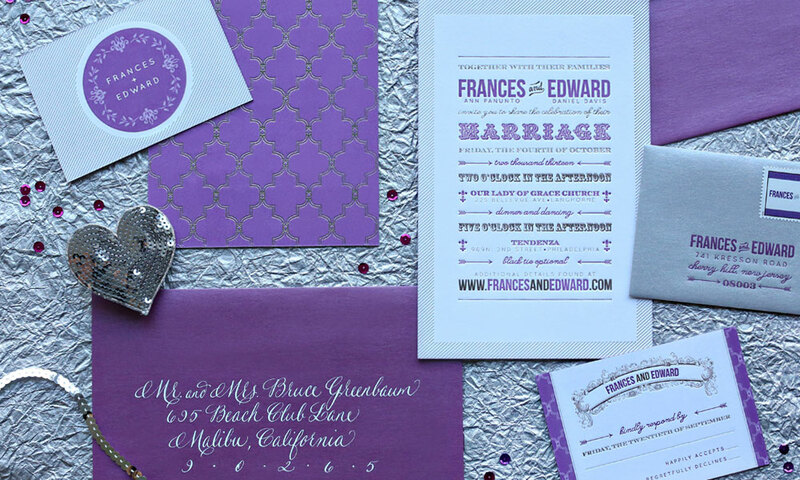 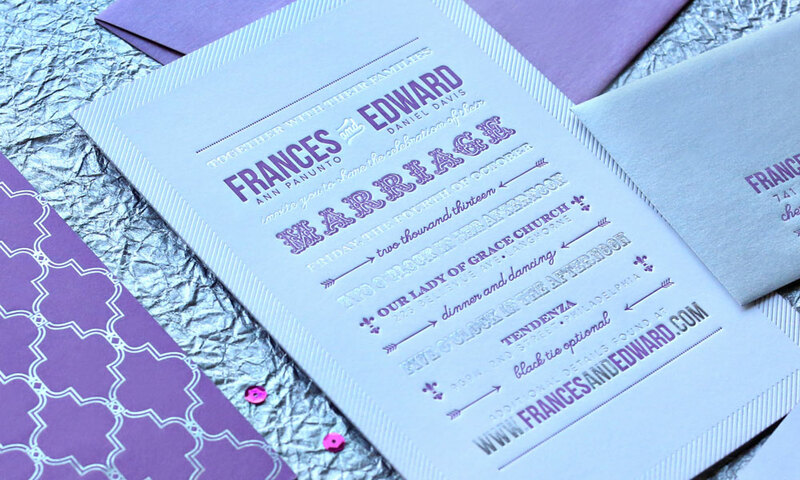 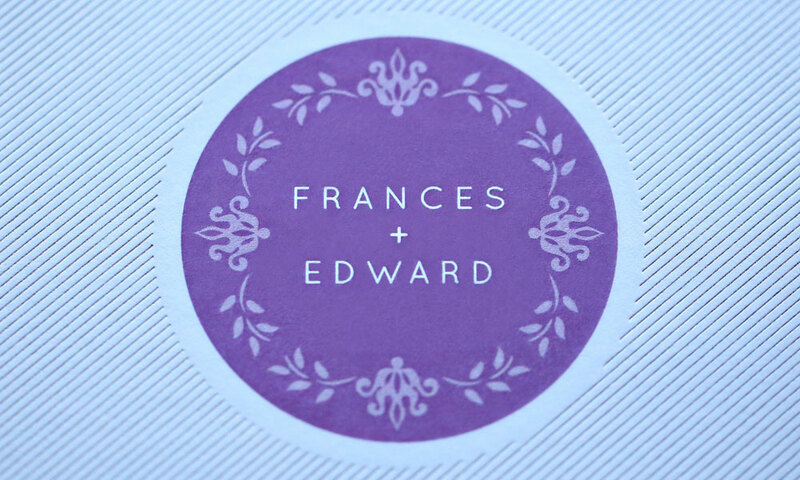 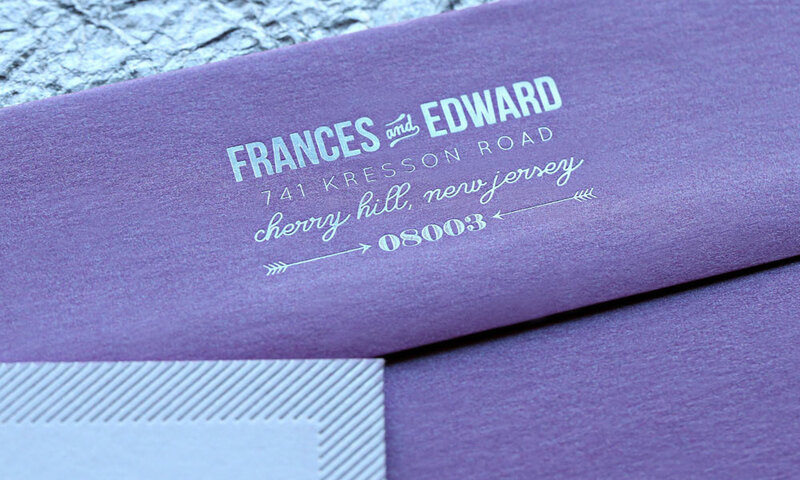 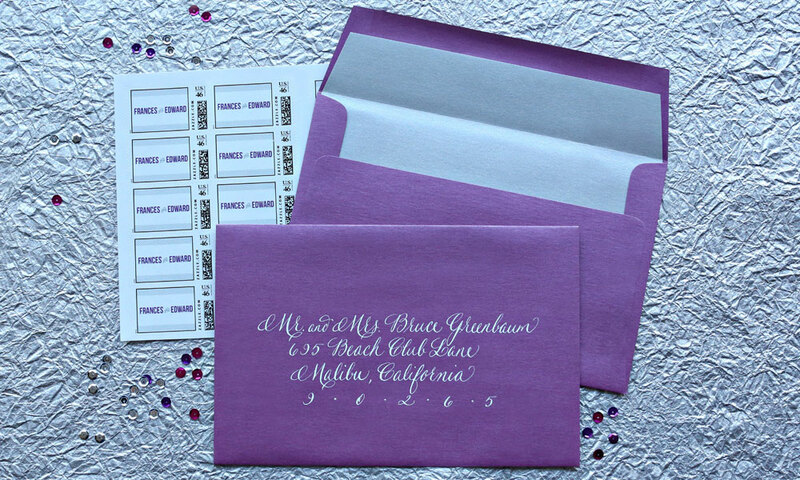 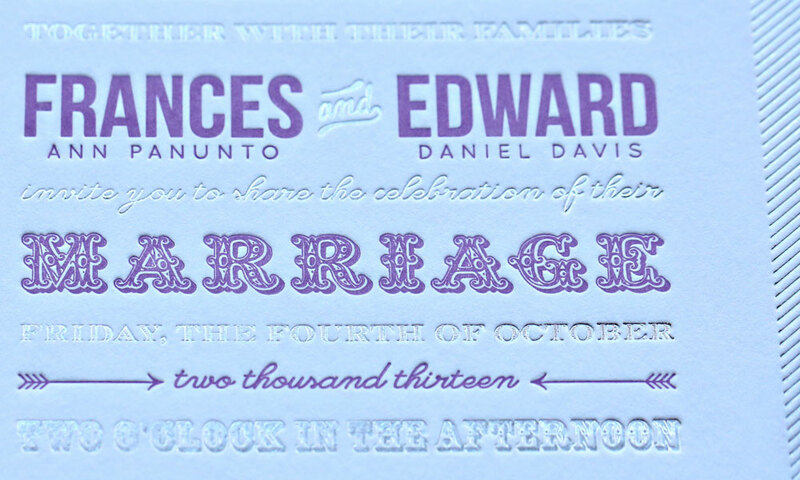 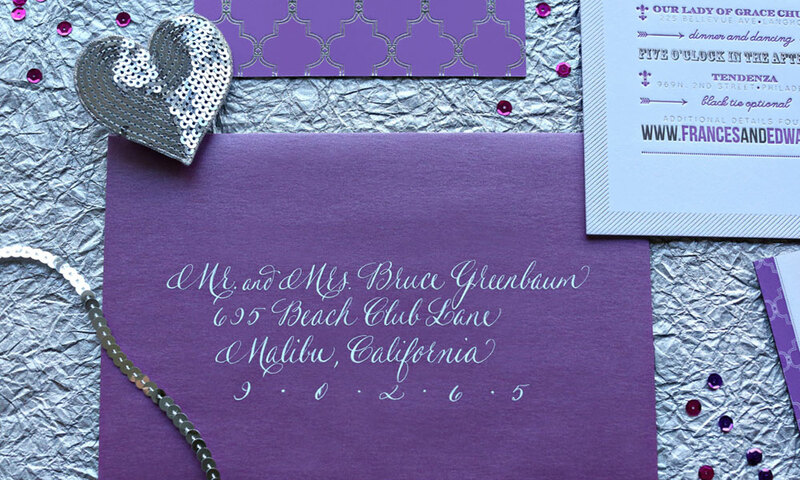 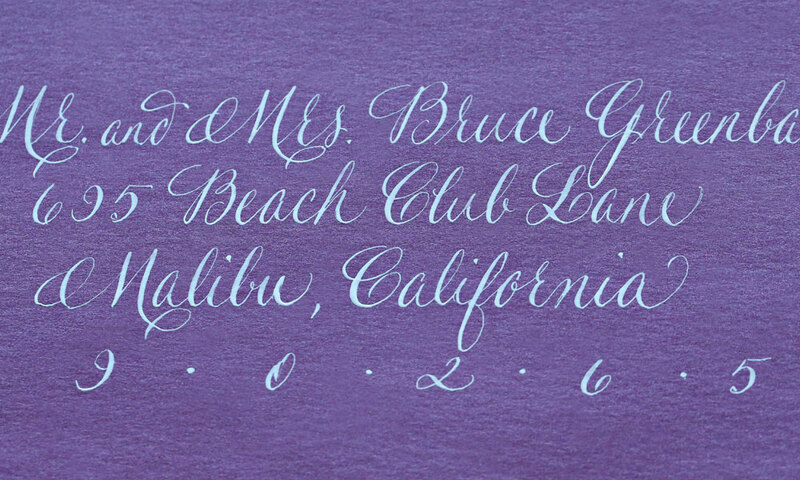 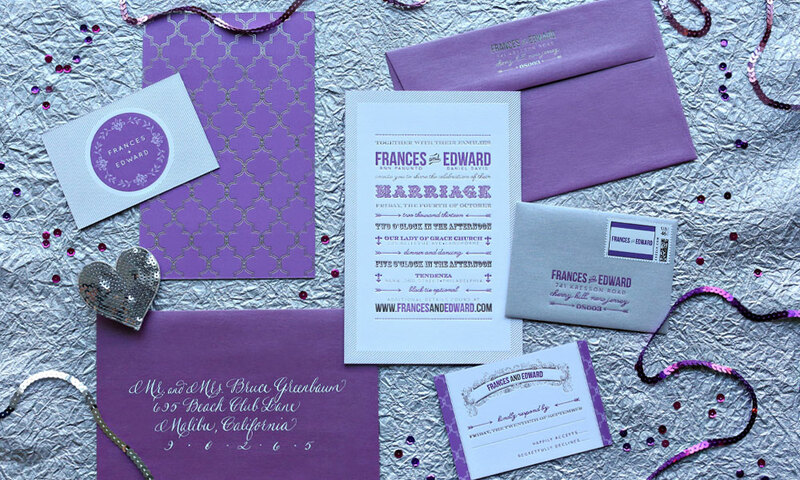 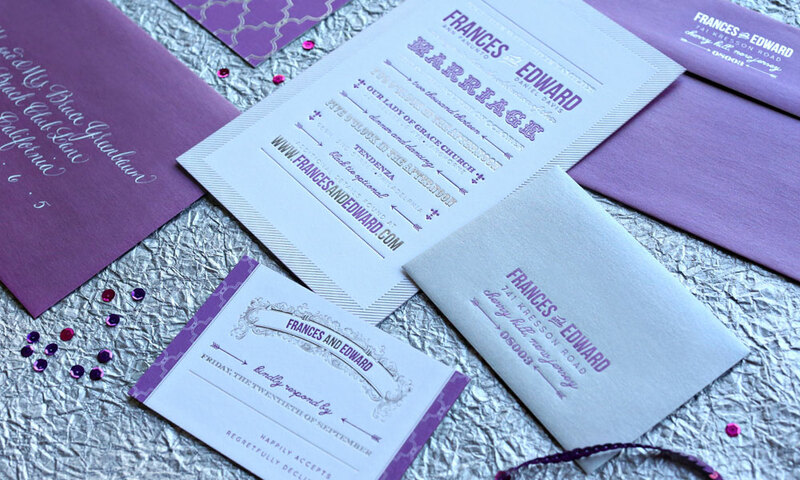 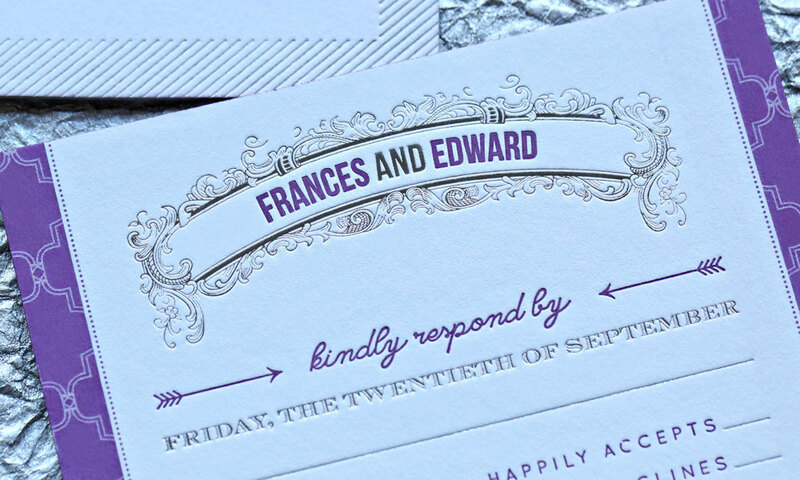 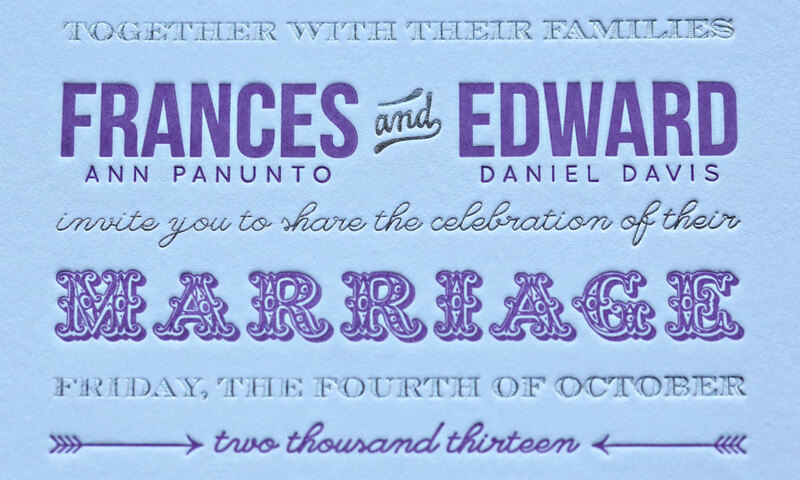 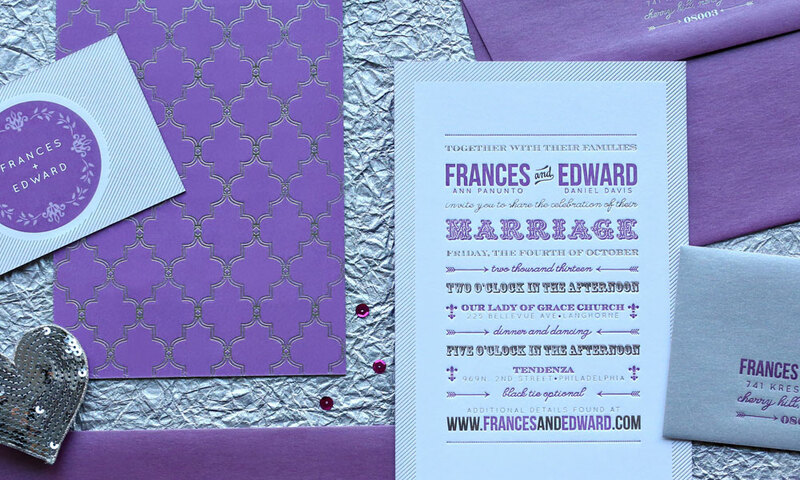 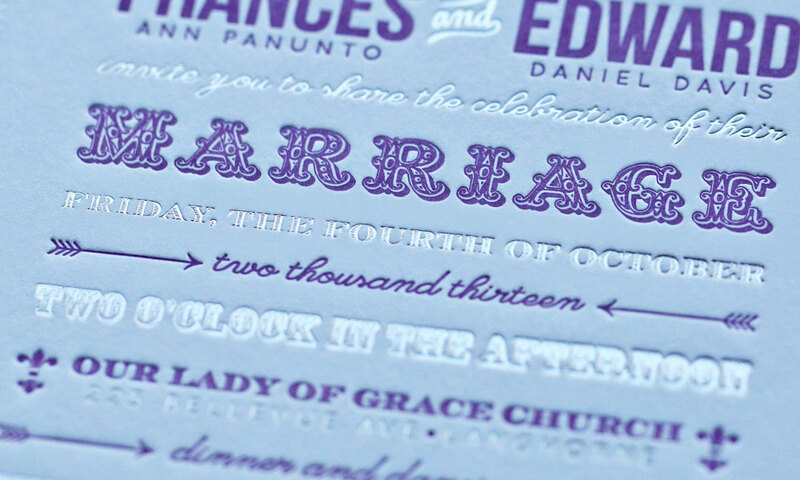 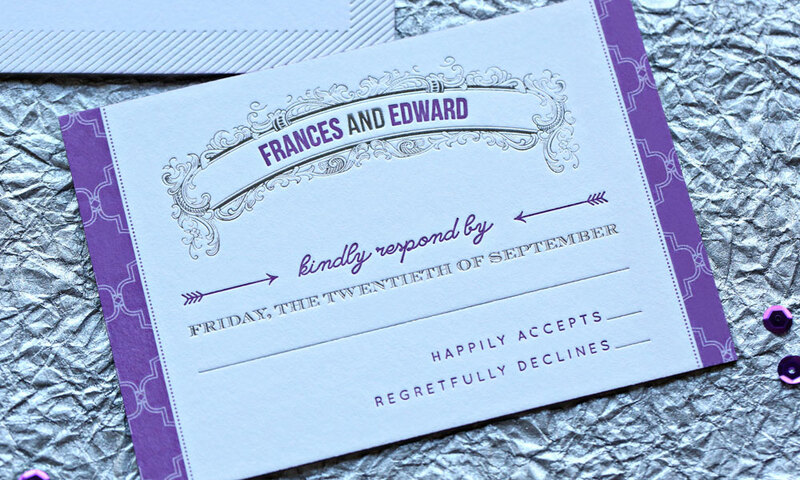 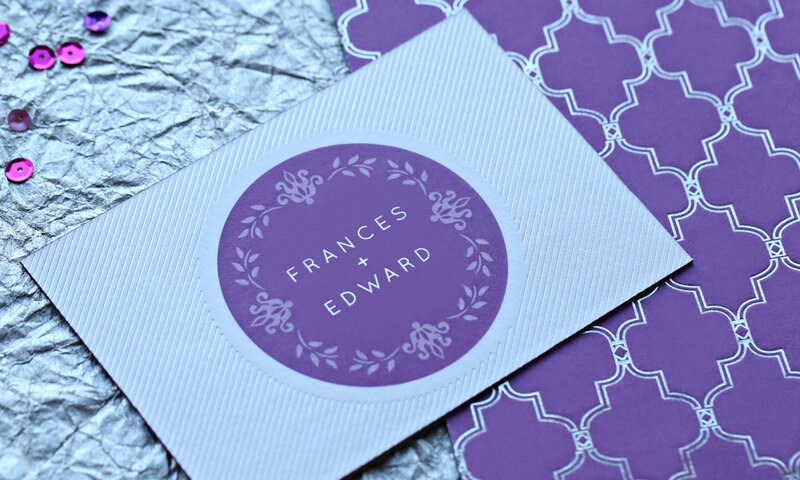 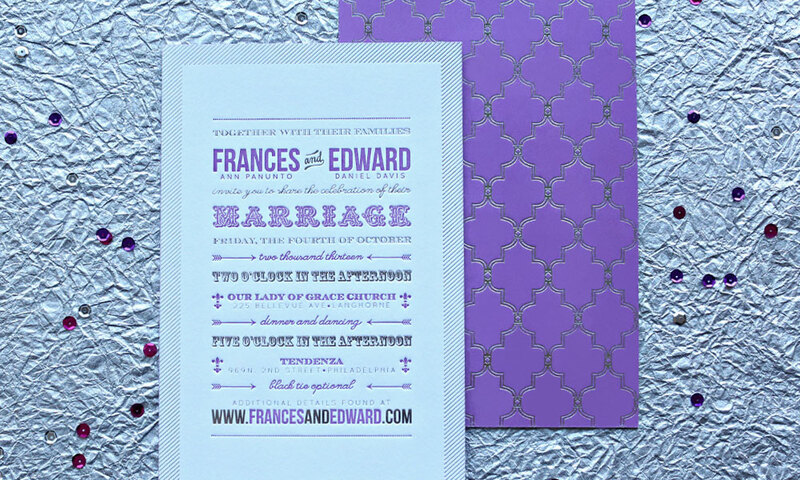 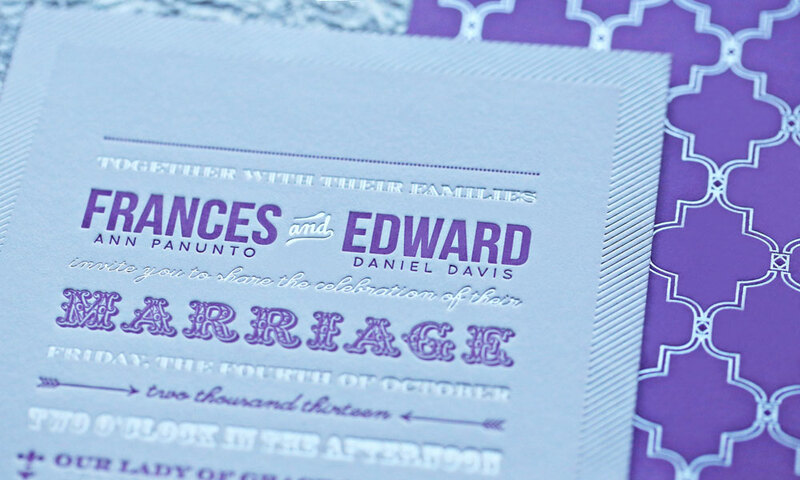 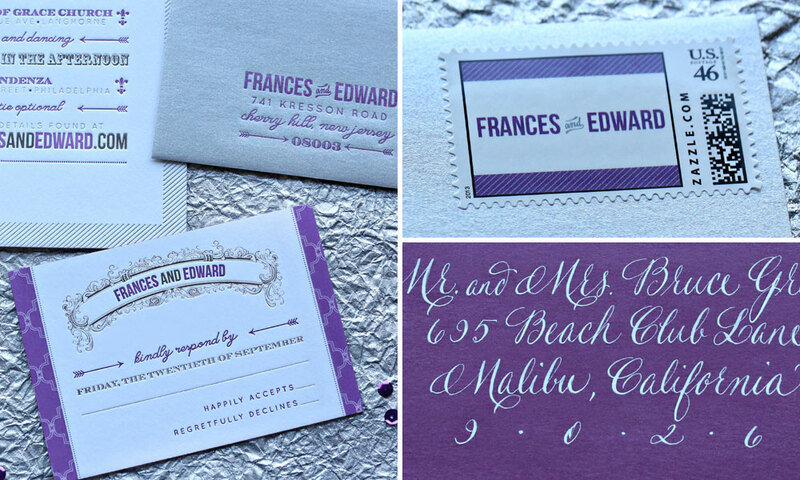 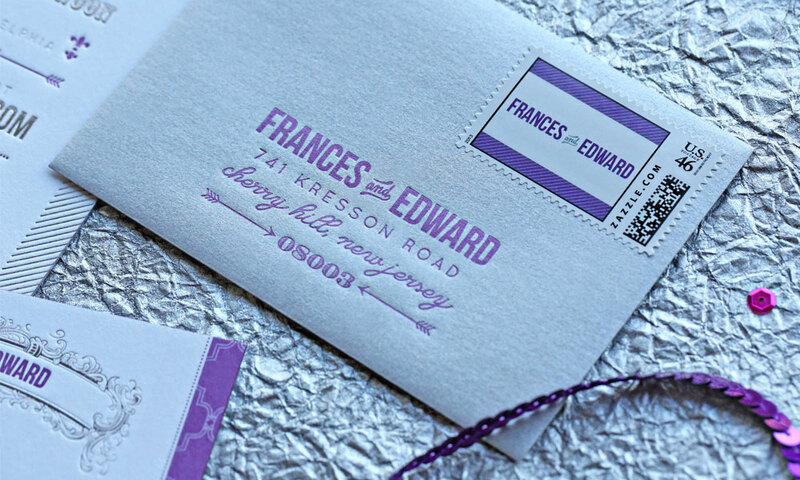 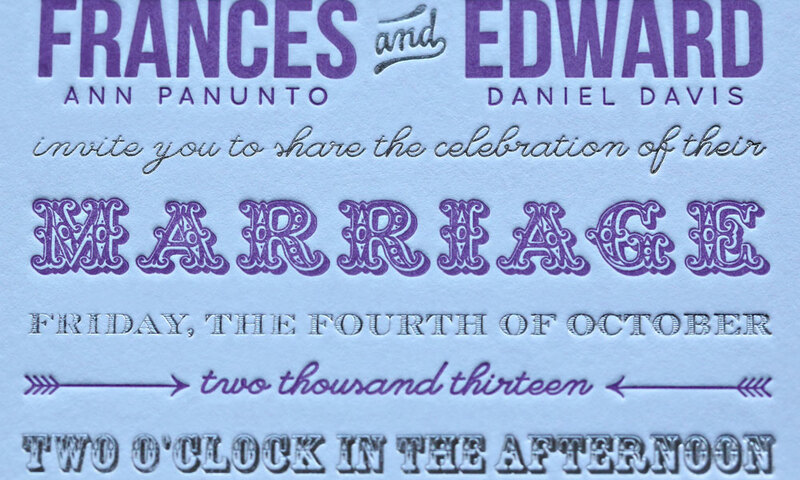 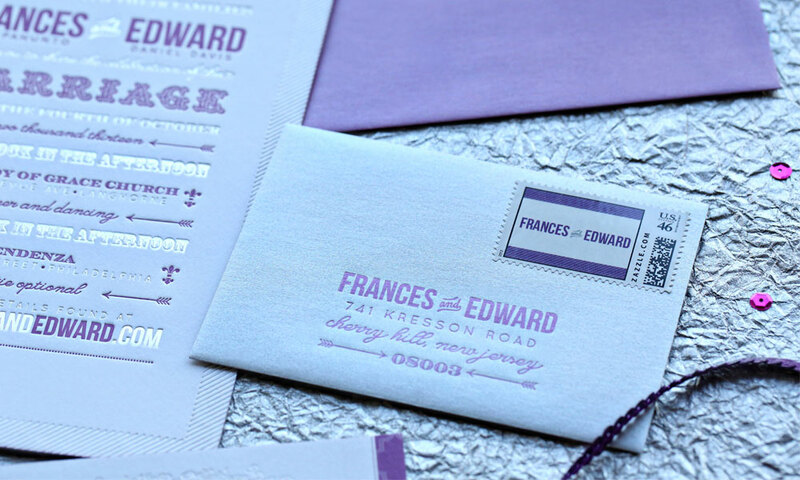 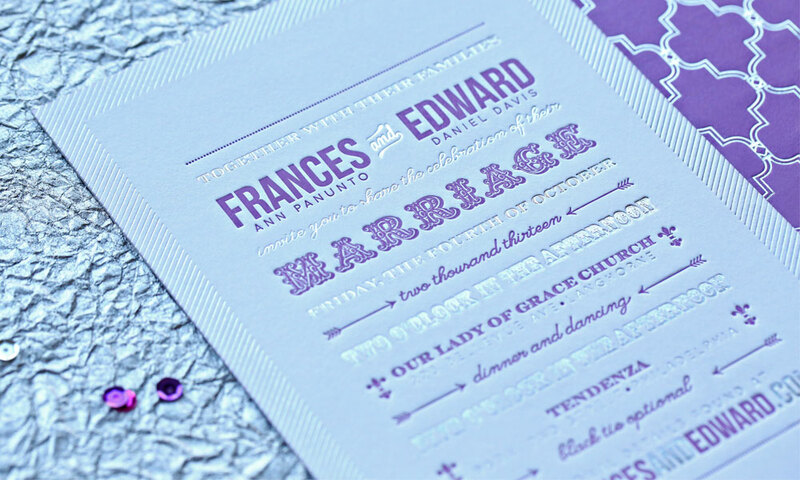 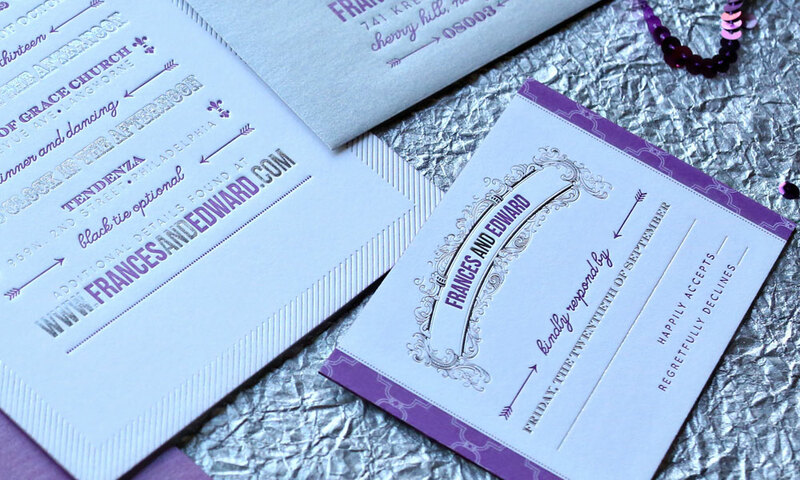 Frances and Edward’s invitation was mailed in a metallic purple and silver-lined envelope with a silver foil stamped return address, a custom monogram stamp featuring the bride and groom’s names and white calligraphy inspired by natural handwriting — a luxurious, modern classic suite for the couple’s special day.